We’re headed back to Carolina Beach and Freeman Park – the “north end”. 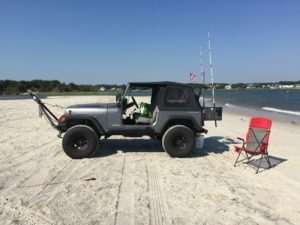 It’s not an extreme trail ride, but it can get tricky in the deeper sand, while you can also bring a more stock vehicle rather than the pure trail rigs. Folks can come down on Friday for the weekend, make a day trip on Saturday, arrive on Saturday and stay over till Sunday, whatever – much like the Spring and Fall flings. The schedule is a little more free-form than some of our other events. Several folks typically come down on Friday and setup some pop-ups, chairs, the CNC-4×4 Banner, etc. to claim our spot for the club. Dinner on Saturday is for club members and their guests – more details on the club mailing list. Remember, it’s BYOE (bring your own everything)! 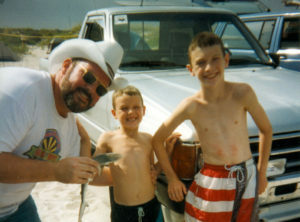 Food, snacks, water, sunscreen, beach chairs, fishin’ gear, shade, etc. so be prepared and have fun! There is a permit required – see Freeman Park Information Page for prices and info on how to purchase. Porta-johns, but no showers or changing rooms (but there is a public beach access that has showers on Sandpiper Lane, about 8 blocks south of the north end). Lifeguards are on duty, as well as police to keep things safe. September is a lot less crowded but still provides for some good people watching, fishing, body surfing, swimming, etc. Lots of places to stay – camping, motels, hotels, B&Bs, plus beach cottages. Make note of Carolina Beach State Park nearby for those with RVs or wanting to camp off the beach. You can also camp on the beach, but read up on the rules in the links below. The NC Aquarium is also just past Ft. Fisher, for those interested in seeing what is in the water with us. Lots of other things to do as well depending on how long you plan on being in the area. As you arrive in Carolina Beach, crossing over the Snow’s Cut bridge, there will be a Food Lion shopping center on your right.? Your next right (onto N. Dow Rd.) 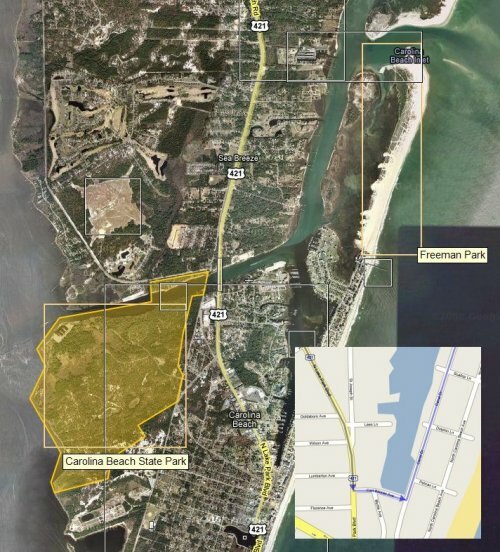 would be the turn for Carolina Beach State Park and their campground.? Continuing south on Hwy 421 (N. Lake Park Blvd), you’ll turn left on Carl Winner Dr. and then left again onto Canal Dr.? Proceed north for about a mile and a half, and you’ve arrived at Freeman Park. 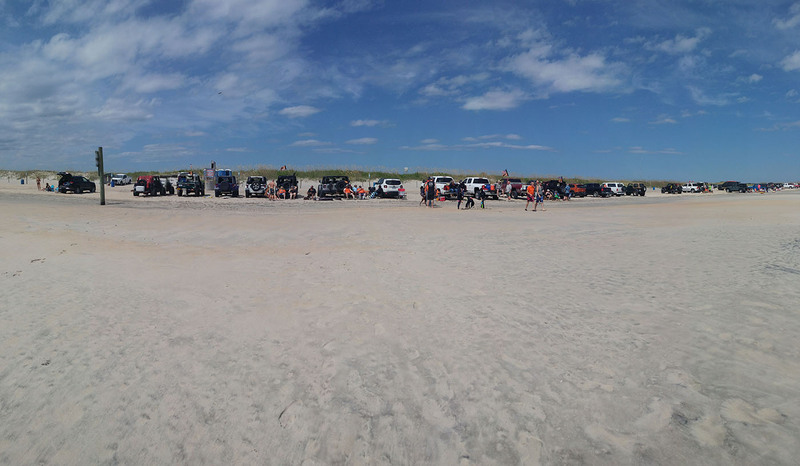 This isn’t a trail ride per se, so no tech inspection for this event, and most any stock 4×4 can do well on the beach if you air down tires, but refer to our Minimum Equipment page for good info on how to prepare you and your vehicle.